It is no secret the fall and winter holidays are fast approaching. It is a time when homes are filled with family and friends, overnight guests, sparkling lights, festive decorations, holiday trees, and tasty meals and treats. Many of us look forward to good times and special holiday moments, but this combination often comes with a risk. For example, the US Fire Administration reports structure fires increase during the winter holiday season and the dollar loss per fire is 34% greater than normal. 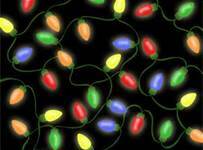 Take some time to review the countless safety articles, holiday tips and other safety information that is available before the decorating and festivities begin. Doing your part to keep your family and home safe during the Thanksgiving and Christmas holidays will ensure enjoyment for all.